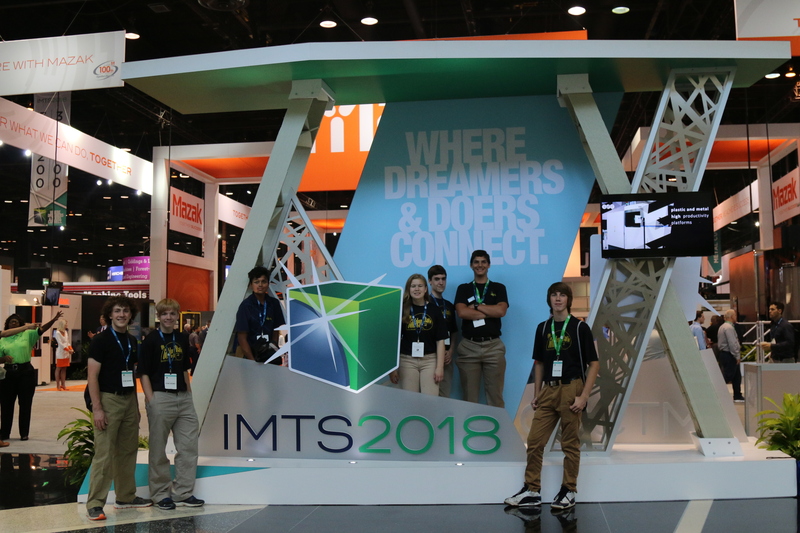 Our team was planning on attending the International Manufacturing and Technology Show (IMTS) when we received word that the FIRST booth was looking for an FTC team to step in and spend time showing off FTC and FIRST in their “pit”. 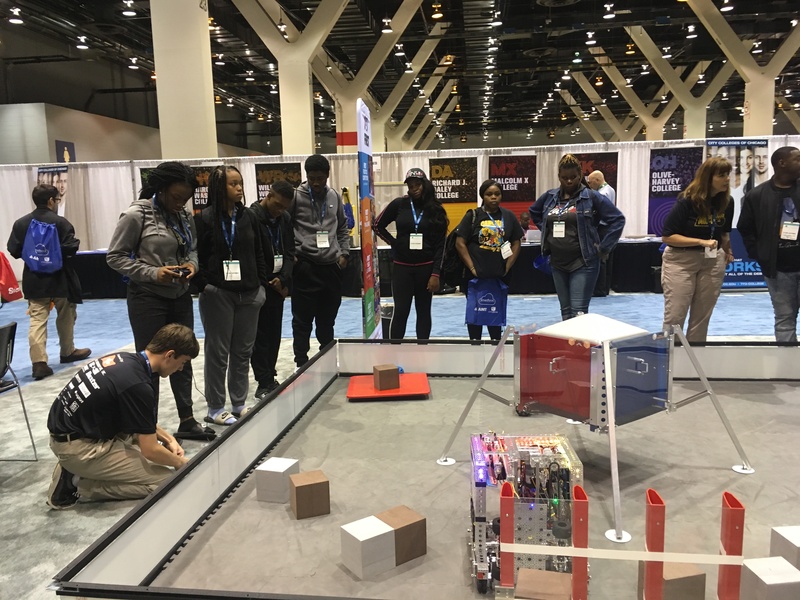 We said yes, and brought our Relic Recovery robot and a demo bot to let kids drive. 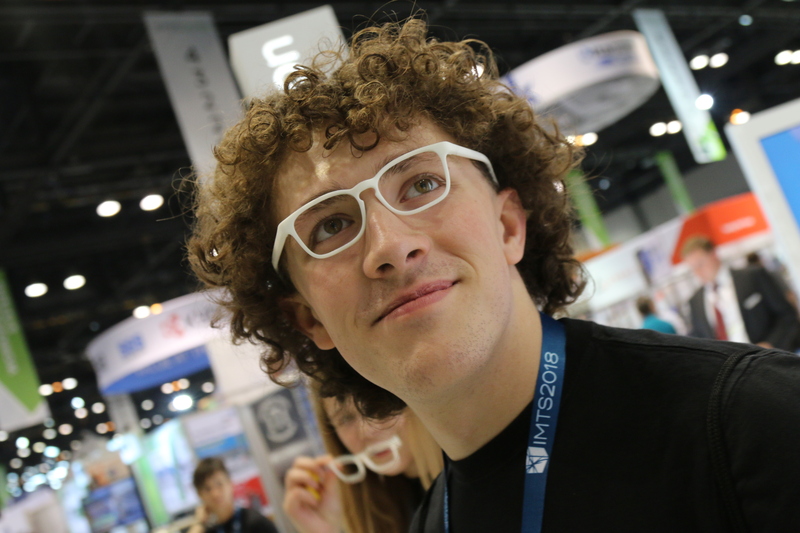 Our team attended several “learning labs” and demonstrations by various companies. 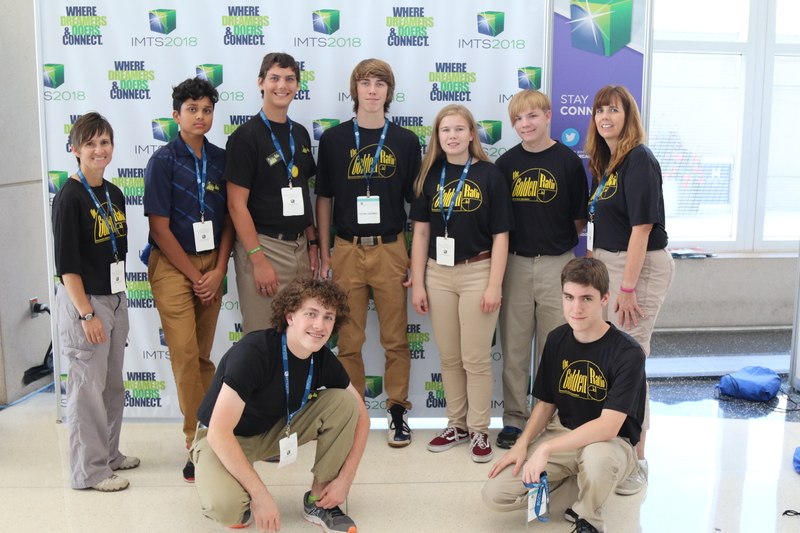 Some of the ones we attended were, “Virtual Reality in the Workforce”, “What’s so cool about Lasers?”, “Design for the Next Generation of Engineers”, and, “Introduction to Manufacturing with Create-a-skate and Mastercam”. We learned about some of the tools professionals use and how they go about designing parts. It was cool to see some of the tools at the forefront of the industry.